Family photography sessions are more than just gathering a traditional mom and dad and two kids in a photo. I am a photographer who loves lifestyle photography. What is lifestyle photography? It is photography that captures the every day details of our lives. 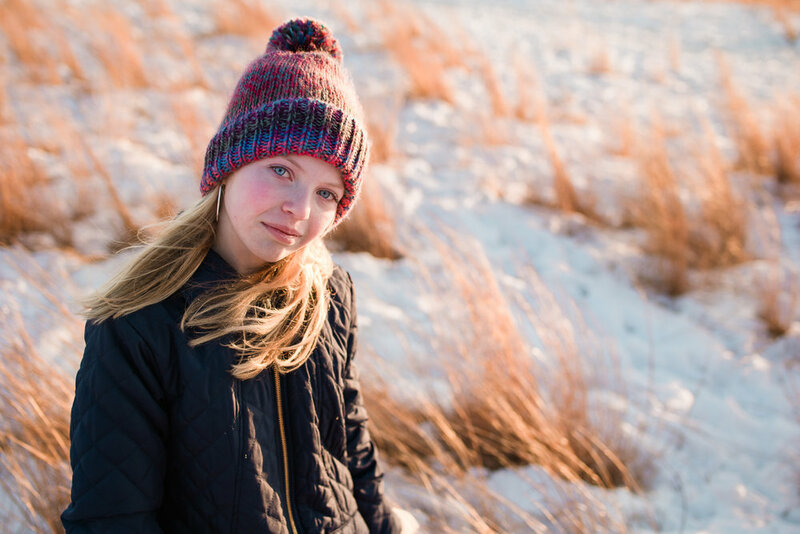 I love outdoor family sessions - even in the cold of winter in Minnesota. We live here and love the challenges that even the weather brings. These photos represent a special time I had with my twelve year old daughter. I want to capture beautiful moments of this tween girl's life right now! She is growing up so quickly and has so many ideas to share. Her creativity is endless and her love of life contagious. These photos capture her spirit as well as the colors of the season. She blends right in! Her golden, flaxen hair, her fair skin and blue eyes seem to reflect the colors of everything around her. This is everything lifestyle photography should be: capturing simple memories and the unique characteristics of a loved one in a moment of time that is so fleeting.